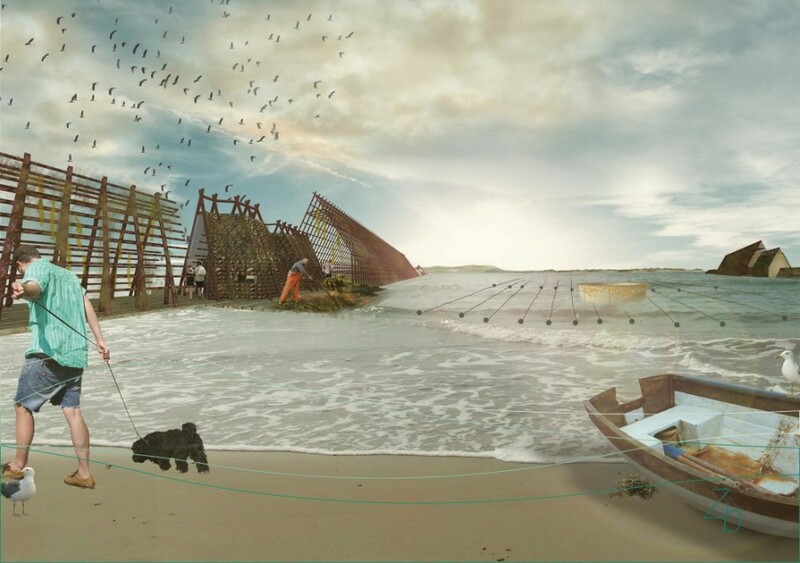 The Seafarm is a project that addresses the growing world food problem. To prevent this, new ways of food supply should be devised. You can think of intensifying and expanding agriculture and livestock, but this takes a lot of ecological problems with it. 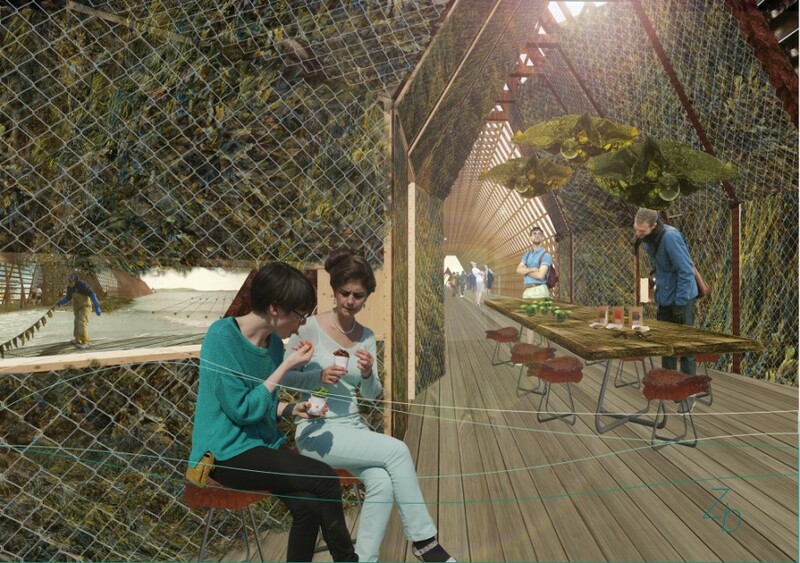 More sustainable solutions are the search for lab food and eating insects. You can think of intensifying and expanding agriculture and livestock, but this takes a lot of ecological problems with it. 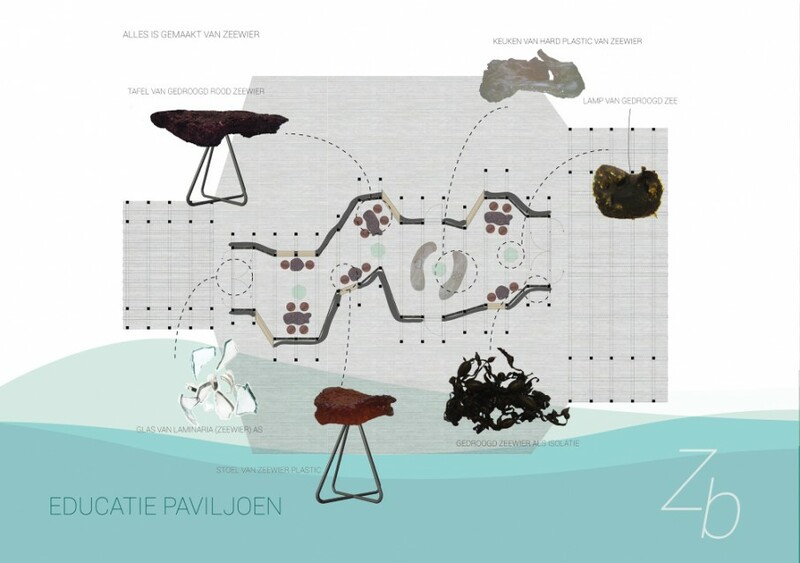 More sustainable solutions are the search for lab food and eating insects. Seaweed not only offers a solution to the world food problem, but can also be a sustainable solution for energy and fuel. 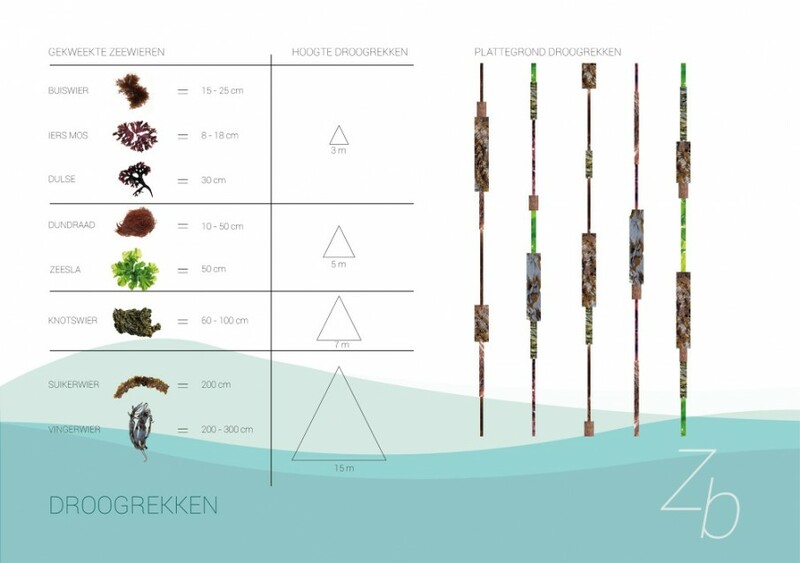 The Netherlands is a suitable country for seaweed cultivation. The two things we we are good at as country are water and agriculture. Let’s combine the two and create a new, great opportunity for the Netherlands. It delivers not only much prosperity in the economic field, but we can also accomplish a lot on sustainability (energy, fuel and food). I think, sustainable projects only succeed if they are worked out both large-scale as small-scale. So ‘The Seafarm’ is not just about designing a large-scale seaweed farm. On this farm there will be also space for education and awareness. This way I try to familiarize people with the idea to eat seaweed. And in addition, they get acquainted with all uses of seaweed. In this design different scales come to bid. So there is looked from the landscape to the location of the Seafarm. 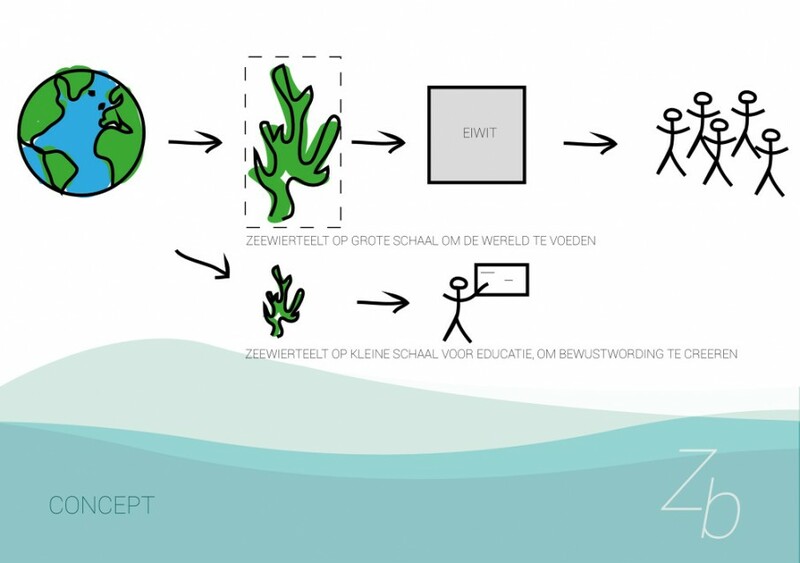 The link with Neeltje Jans is not random, it strengthens the educational character of the Seafarm. 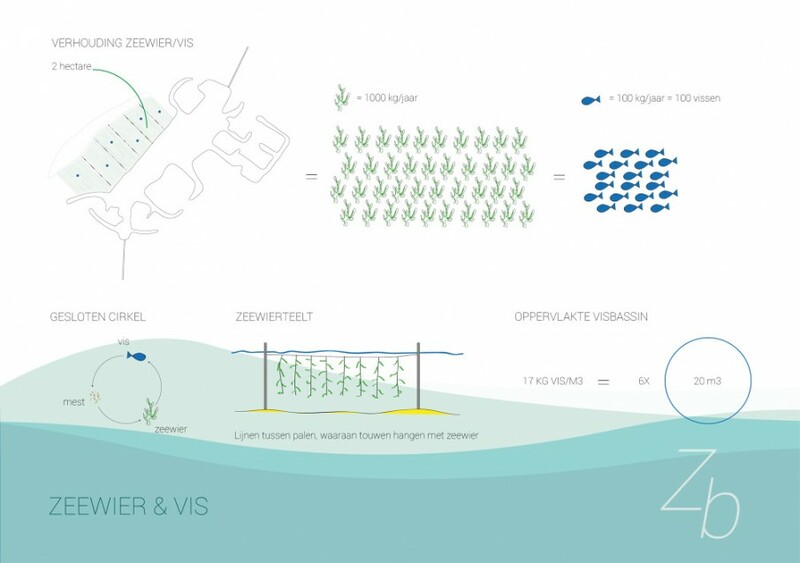 In front of Neeltje Jans a dune will be constructed, which is to protect the Seafarm from wind and waves. This dune will come naturally by sand shifts, which are caused by wind and waves. On this Seafarm are, in addition to seaweed lines and fish basins, also drying racks located. Before the seaweed is transported or processed it is dried. 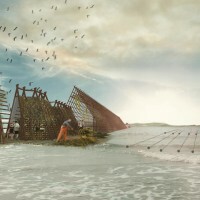 Just like in Norway with the hake, the drying takes place at the Seafarm on triangular frames. The tasting annex shop will be established in one of these frames. Here, people will get familiar with eating seaweed and they can discover the possibilities of seaweed. The tasting is built entirely with seaweed. The furniture in the tasting are also the products for the shop. All these furniture are made from seaweed. This way, the applications of seaweed are showed to the visitors, and by selling the furniture the seaweed goes home with the visitors and is spread throughout the country.